A former Sedgwick County Commissioner disputes the narrative told by a retiring commissioner. A version of this appeared in the Wichita Eagle. Commissioner Unruh was deeply involved in both the hiring, and recent firing, of county manager Scholes by Commissioner Unruh. I know because I was involved in Scholes’ hiring, but as a citizen, publicly opposed the firing of General Scholes, as well as county counselor, Judge Eric Yost in 2018. The group of county manager candidates were evaluated by all five county commissioners three years ago. Three county commissioners ranked General Scholes as the best candidate. Commissioner Unruh was one of these three commissioners. I wasn’t one of these three. While I ranked General Scholes highly, I ranked one other candidate as slightly better in our final candidate evaluations. I readily admit that I was very comfortable in agreeing with my three colleagues in hiring General Scholes. This was followed by all five commissioners: Unruh, Tim Norton, Jim Howell, Richard Ranzau, and myself voting to hire General Scholes. Commissioner Unruh’s inaccurate commentary is part of an effort to provide an excuse for the scandalous mess that has engulfed the current county commission majority resulting in a variety of FBI and state investigations after Commissioner Michael O’Donnell’s criminal indictments. However, only Commissioner Unruh was part of the current commission majority (Unruh, O’Donnell, and David Dennis) involved in both this hiring, and supporting the firing of both General Scholes, and the county counselor, Judge Eric Yost. 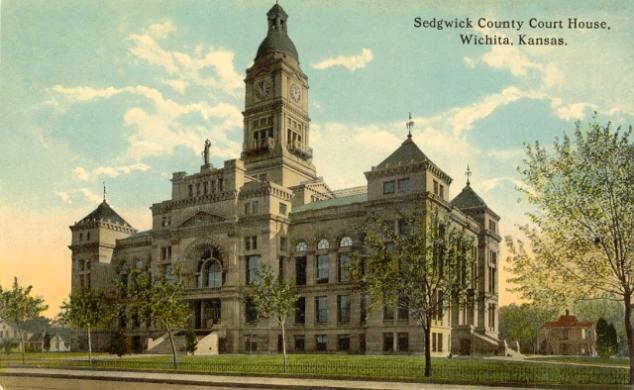 This is important because there also seems to be some confusion by Commissioner Dennis about the powers of former Sedgwick County Commissioners like myself. In December, Commissioner Dennis publicly claimed that I was in some way responsible for this personnel debacle and the financial mess created by the current progressive-moderate commission majority in firing first Judge Yost, and then General Scholes. I reject this ludicrous claim. My impact on Sedgwick County finances ended the day I left the commission in January, 2017. Anyone on the county commission who claims otherwise is trying to hide their own malfeasance. I believe that Commissioner Dennis should apologize to me for his fabulist statement. Sedgwick County citizens also deserve an apology for this commission majority’s misconduct in mishandling county staff, and finances. I have asked Commissioner Dennis for an apology for his statement attacking me, and publicly do so again with this letter.